Your Professional Application to create and view your snow ground cover snow profiles on your pc or laptop platforms. We worked with industry Snow Professionals to improve Snowpro Plus+ with useful features. 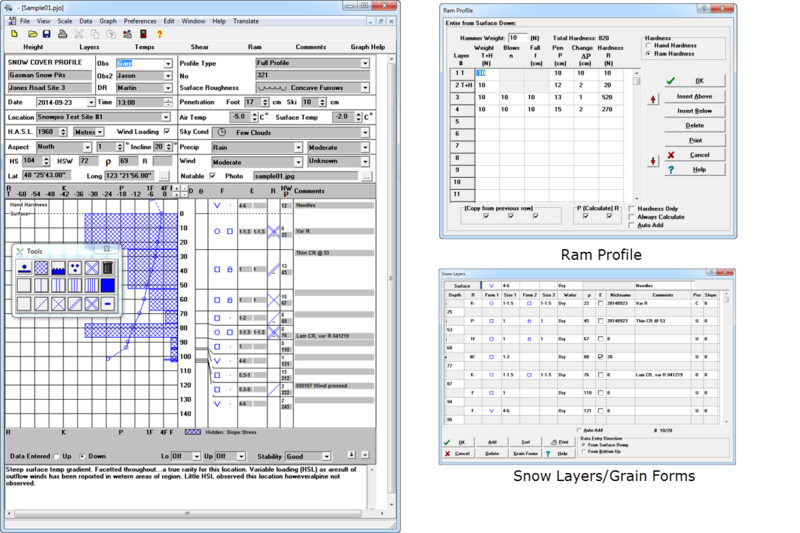 Release 34 marks our 23rd year providing a value tool for graphing snow profiles. 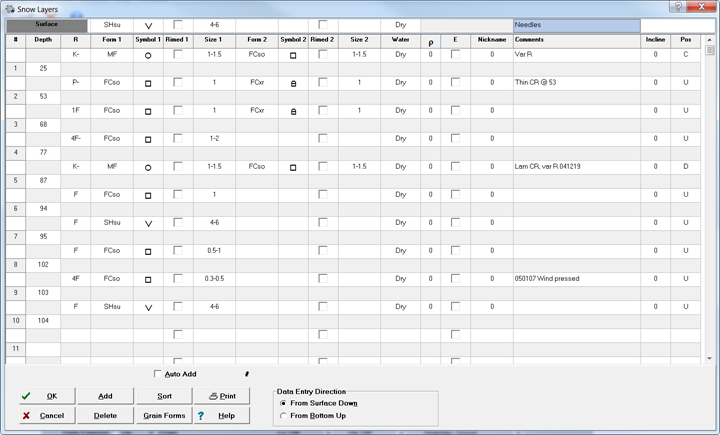 The Snow Layers Table Entry form allows quick and easy entry of snow layer innformation. Snow Layers contains the Water Content, Grain Forms, Grain Diameter, Hardness, Density, Water Content, Layer Comments, and Layer Slope values. The Ram Profile records the hardness index through a veritical section of the snowpack. 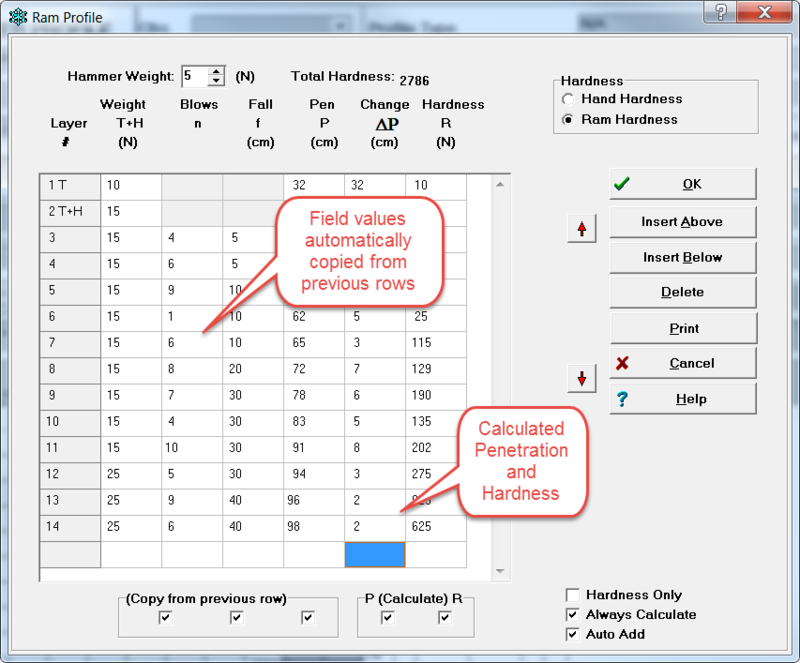 Ram profiles hardness has a better resolution as an index of snow hardness than the hand test. Note! Effective August 1, 2018 we have changed our Subscription Options to include 6 and 12 month (annual) subscriptions. The 6 Month Subscriptions are for a single license. We have added a non-expiring Perpetual License. or (Click links above for quicker access to purchase options). 2. Select the number of units range for pricing and click "Add to Cart" Button. 3. In the cart enter the number of subscriptions to purchase. 5. Press the "Proceed to Checkout" Button to complete your order and payment information. 7. Enter your PayPal Email Id and Password (if you have a PayPal Account). 8. Then click on the "Agree and Continue Button" to complete order. 9. Click on "View Cart" button below to view your current cart contents at any time. PayPal will validate your order and send the details to us. Once we receive this we will send to you by email a paid marked invoice and download information to obtain the software as well as a download and subscription user id, password, and activation code. 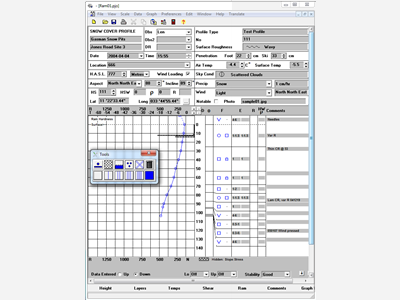 You can then download the Snowpro Plus+ software. When you run this for the first time you will be prompted for the activation information which you key in. 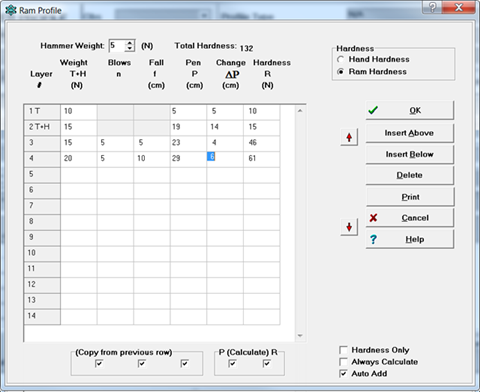 After that the full features of the software are available to you. Your software will let you know when there is a new version available and optionally you can let the software update itself to the newest version. We are a small company and do not have an automatic fulfilment system. Since we do this order manually it normally takes a few hours but can be up to 24 hours for us to receive your order and process the order so please be patient. Contact us at the email or phone number below if you do not receive notification from either PayPal or Gasman within this period or if you have any other concerns. Note that each computer must have an active license. Only 1 year licensing and purchases from 1 to 9 units can be purchased here. Contact us for 10 or more subscriptions, enterprise or educational and we will confirm pricing and send you a invoice which you can pay using your PayPal account or credit card. Enter your Company name then press the Add to Cart button. Once your cart is displayed then enter the number of subscriptions you would like 1 to 9. You require a license for each computer you plan to run Snowpro Plus+ on. Each Annual Subscription provide 2 Licenses enabling Snowpro to run on 2 computers at the same time. Each 6 Month Subscription provided 1 License enabling Snowpro to run on 1 computer. 1. Purchase a Perpetual License Update within 30 days of the end of the first year of purchasing the Perpetual License and each subsequent year. For a fixed annual fee you will receive up to 50 subscriptions (100 licenses) for your company which can be used at any location. You cannot purchase this on PayPal. We will invoice you. Contact us for more details. We will give educational organizations up to 10 annual training subscription licenses for a single fee of $199 (for all licenses) per year. The training subscription must be renewed each year. Educational organizations to qualify must submit to us annually a brief overview of their program and the number of students trained using Snowpro Plus+. We will also give students who complete the courses and are issued a completion certificate a one time discount of 50% for either a Monthly or Annual Subscription. Note this offer is subject to be changed or canceled at any time. We have received some requests from the Snowpro User Community to develop a Mac OS desktop/laptop version of Snowpro Plus+. We have decided at this point due to low demand that we will not be producing a Mac OS version in the near future. We will review this from time to time and if sufficient demand is found in the future then we may develop this. Note that there is a Mac OS solution for running Snowpro Plus+. You can install a VM such as Parallels or Virtual Box on the Mac computer and install a Windows OS which will then run Snowpro quite well. In fact our current development is done on a Mac using this method. Do you have a comment or need to discuss Snowpro? Are you ready to start using Snowpro?